If your schedule is really busy during the week and you can hardly take any vacation, then I bet you are just looking forward for some week-end destinations, to relax and to discover new places. 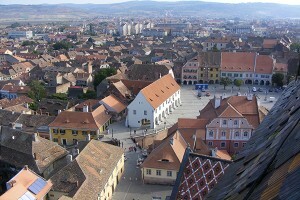 One week-end in Sibiu might be the perfect option in this case. 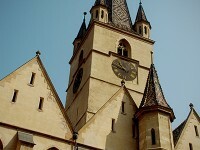 Start with a visit to the historical part of the city. Brukenthal Museum for example is always open to receive its guests in a perfect atmosphere created by wonderful and unique art objects or valorous paintings. Close to Brukenthal you also have a very interesting museum dedicated to the beginning of medicine in Romania, I am talking about the Museum of Pharmaceutical History. 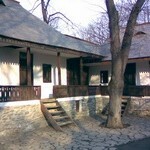 Another great museum right in the city center is the Museum of Ethnography. Occasionally hosting special exhibitions, the museum presents the traditions and popular costumes of that part of the country. One can admire costumes belonging to the ethnic groups that dwell inTransylvania and even experience the possibility of going back to the Communist times, as the museum has a special room dedicated to that part of the Romanian history. If you prefer to relax and just enjoy the atmosphere of the city, its vibration and visit some of the symbolic locations in Sibiu, then, for sure One week-end in Sibiu will be enough to get you on the move. Start with the city center and the two biggest squares in Sibiu- the Great Square and the Small Square, stroll till the Bridge of Lies and then go left to the Roman-Catholic Church. The bridge of Lies has an interesting story behind it. The girls in love used to ask their partners about their feelings while standing on the bridge and if the answer was a lie, the bridge would shake. 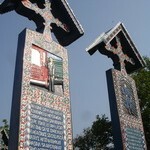 Other important attractions of the city are the towers that guard the city. 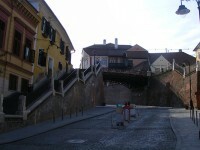 Originally, Sibiu was protected by 39 defensive towers but most of them perished as time went by. Among the towers that can still be admired are Harquebusiers’ Tower (Turnul Archebuzierilor), Carpenters’ Tower (Turnul Dulgherilor) and Potters’ Tower (Turnul Olarilor), all of them dating from the 15th century. When you arrive in the Great Square look up towards the 13th century Council Tower. Today, the visitors can even go up the stairs till they get to the top of the tower. There are so many things one can do in Sibiu in such a short period of time. From the cultural attractions to the historical monuments, Sibiu is exciting regardless of the season. And do not forget to stop at some of the best Romanian restaurants in Sibiu or enjoy a glass of wine in the city center. It will be amazing!